I have taught Mathematics in NJ for the past 30 years, elementary, middle school and Centenary College in Hackettstown, NJ. Math is not easy for all students. I understand the special needs student as I have tutored also for many years. With My BA and MA degrees plus 45+ credits in Mathematics Education I am confident I can communicate the subject and the appreciation for Mathematics to many diverse students. I desire to help students understand the subject, not just give them answers. I want the student to understand where and how all those numbers and exponents, etc. relate to each other. It can be confusing. By simplifying the math the student can understand which helps students do well in their course and go on with their life. I have a background in teaching 'gifted students' in Mathematics from Grades 3-6 and "Basic Skills" students. When working with an elementary student, it is easy to figure out his/her level on knowledge at the grade level their at and whether they will thrive at a higher level in coordination with their desires. Elementary school is the time to teach and from the student point of view, learn the arithmetic in order to advance to higher levels that use the previously learned material. For most students Algebra 1 is an entirely new language. When I tutor a student I first make sure that the student understands the operations on the signs (-,+) numbers and Order of Operations, which I consider very important before continuing. After that knowledge is obtained, I then continue with the questions and concerns of the student to help the child do better in the subject in school for as long as tutoring is needed. Algebra 2 is the continuum of Algebra 1. That is, Algebra 2 uses the same operations on advanced algebraic operations, introduce square roots and simplifying and perform the same operations as equations. Polynomials seem to be most difficult because some contain fractions and fractions are a bit more difficult to perform operations with variables! Fractions, I have learned, are not a favorite with students, with or without variables. The parabola along with the other Conic Sections might also be taught after the basic line, slope, and equations. My tutoring involves finding out very quickly while the student and I are working on a concern where the student might have the most difficulty and reteach that topic again. This continues until the student is comfortable with the topics she/he has had difficulty. Geometry is one of the most beautiful subjects taught these days. Proofs are no longer the main thrust of the subject, rather they are introduced slowly to the student as the course continues. Algebra has a function in the Geometry today, that uses variables to find length of sided of triangles, quadrilaterals, etc. diagonals of the figures above mentioned. Also, degrees of angles, parallel lines with a transversal and other figures. The proper use of the compass and protractor to develop figures without a ruler might be introduced. I stated proofs of theorems are simply introduced in conjunction with the algebra. While I am working with the student, I will be figuring in my mind where she/he is having difficulty and reteach a topic where needed. I might explain a problem a different way if the student does not understand the 'book's method' or that which is on a review sheet. That type of work will continue throughout the tutoring so as the student's skills improve and grades improve. Pre-Algebra is a beginning of a new language; now adding variables to the Mathematics a student has learning for years. All of a sudden when a letter is interjected within a problem. students become confused when they need not be. Tutoring will help with the transition from numbers to letters within problems so it is not confusing to students. As a Mathematics Teacher (retired, but still tutoring) I have helped students who need knowledge and encouragement to follow their plans in life. I do just that... help students by making the algebra and geometry they need a bit simply taught so students can learn faster, understand the material, and retain the knowledge for the ASVAB. Not too many like this around anymore!!! Nancy is fantastic! She is a real teacher who truly cares about not only what shes doing, but her students. Today these teachers are far and few between and hard to find. Nancy worked wonders with my son who has learning disabilities. She is truly dedicated to the job she is doing and I would highly, highly recommend her for anyone, at any age. 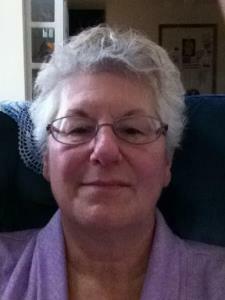 Nancy has great patience, great heart and you could not ask for anything more from a tutor. A math specialist in every sense of the word, Nancy is one of the finest tutors in the area. When I was in need of help to prep for my ASVAB test, Mrs. M provided top-quality tutoring--helping secure the high score I needed. As she has had many years of experience, Mrs. M is easily able to adjust her teaching pace (especially if you have difficulty grasping certain concepts as I do), and will not advance to complex stages until she is certain you understand the current material. If you struggle with math and desperately need to improve, Nancy is your tutor. Nancy was knowledgeable in the subject matter and was able to get a handle on the situation. She offered an assessment and advice before diving into the lessons. Nancy worked around our schedule. She was encouraging and positive, and genuinely cared about helping my daughter. My daughter is good at math but she said she had some algebra that was giving her trouble. She told me Nancy really helped her understand it. This is why she sees her once a week so she doesn't get lost and starts to dislike math. Nancy really cared about me add a student and as a person. She showed great patience when I was having trouble with certain areas. I would highly recommend her to anyone needing help in mathematics. Thanks Nancy! Great teacher, easy to communicate with. My son has had several sessions with Nancy so far and is very pleased with how things are going. He has told me he has learned more in these few sessions then he had through H.S. Nancy breaks down the math equations in a way that is simple for him to understand, and is easy to talk with. I am very happy we found her! Nancy M. worked wonderfully with my child. She is prompt, patient and can engage her student in the material. My daughter's ACT scores jumped considerably after working with Nancy M. I would highly recommend her. My daughter has been working with Nancy for about two weeks on Algebra 2. She is helpful, patient and cares about the student's progress. My daughter really enjoys her tutoring sessions. Update: She did it! She brought her grades up and passed her finals! She's going to graduate next week! Thank you, Nancy. She couldn't have done it without you. I was working with a student who wanted to pass her math courses in order to be able to graduate. She was focused, attentive, polite and had not only a desire to pass, but also a desire to learn the material she needed to learn to pass. Kudos to her!! If it wasn't for Nancy I would never have been able to make it through my College Algebra course. I am an adult learner attending college in the evening and with Nancy's patience and ability to help me learn I was able to pick up a subject that has always given me difficulty. Nancy was always easy to reach and was very flexible on meeting times. Nancy has been a pleasure to deal with when making arrangements to tutor my daughter in trig and business math. My daughter has learning issues, particularly in math and Nancy has been both patient and encouraging. I would recommend her to parents whose children have ADD or ADHD as she understands the challenges they face.